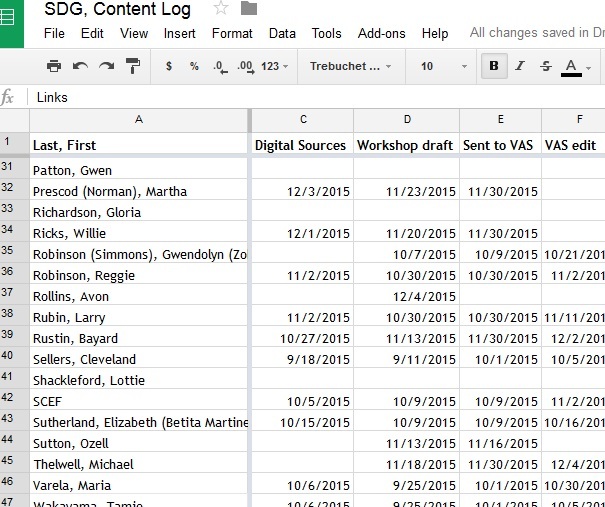 Google Drive content log for SNCC Digital Gateway. So much content. Gobs of content. Never-ending ideas for more content. Content–how to produce, present, and connect it–it’s a challenge the SNCC Digital Gateway Project faces on a daily basis. The SNCC Digital Gateway deals in two types of content. First is the content written by the student Project Team under the direction of our SNCC Visiting Activist Scholar. This includes 600 – 700 word profiles of people, stories of events, audiovisual pieces exploring different perspectives in SNCC, and close-ups of the inner workings of SNCC as an organization. When the SNCC Digital Gateway debuts in December of 2016, it will feature over 150 profiles, 50 events, 9 audiovisual pieces, and 25 organizing SNCC pages. The second type of content in the SNCC Digital Gateway is the primary sources embedded within the profiles, events, and organizing SNCC pages. 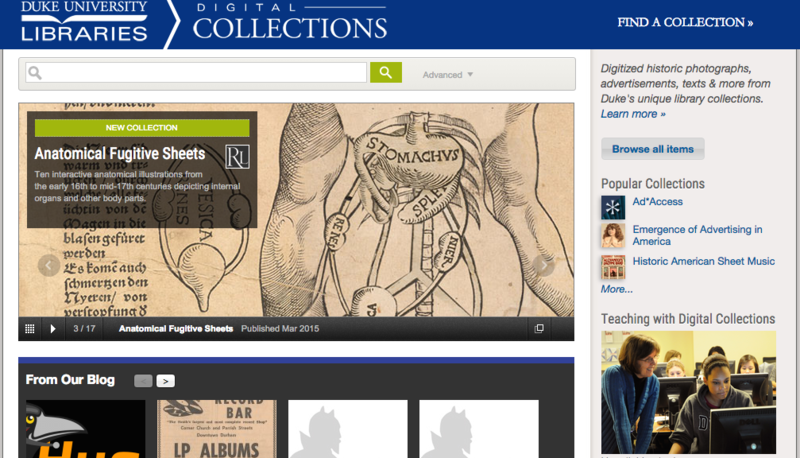 Each piece of written content features 6 – 8 digitized primary sources. These are items like the arrest record of SNCC field secretary Willie Ricks — “Extremely radical, militant individual”–, articles from SNCC’s newsletter, The Student Voice, or SNCC activists recounting their organizing experiences in the 1988 We Shall Not Be Moved conference at Trinity College. Multiply the amount of written content by the number of embedded sources, and that totals well over 1500 items. And that’s only for the 2016 debut…2017 is devoted to producing more content! By the time the SNCC Digital Gateway is complete, it’s aiming to feature 300 – 400 profiles, 100 plus events, 50 organizing SNCC pages, and over 20 audiovisual pieces. 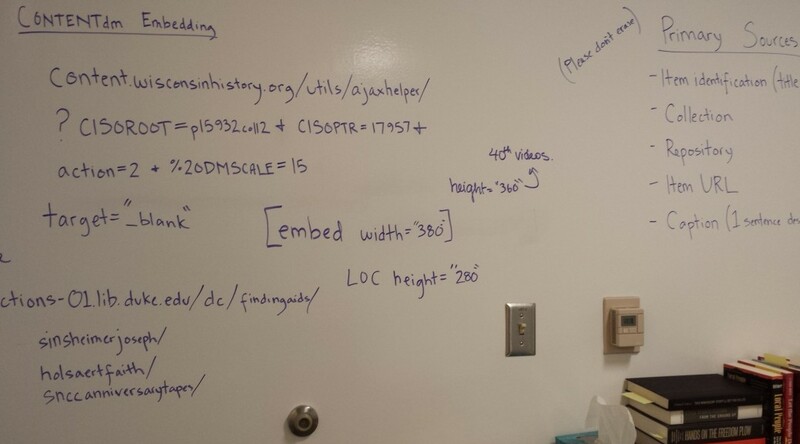 Wireframe for the SNCC Digital Gateway sketched on the whiteboard wall of the project room. SDG:“We want users to be able to sort through profiles by state, region, county, or city, and we’d really like them to be able to get to counties and cities directly. Don’t worry. We came to up with a good solution. But the fact that the SNCC Digital Gateway needs to handle 500 – 600 pieces of content when finished (never mind the thousands of embedded sources) is an ongoing hurdle. 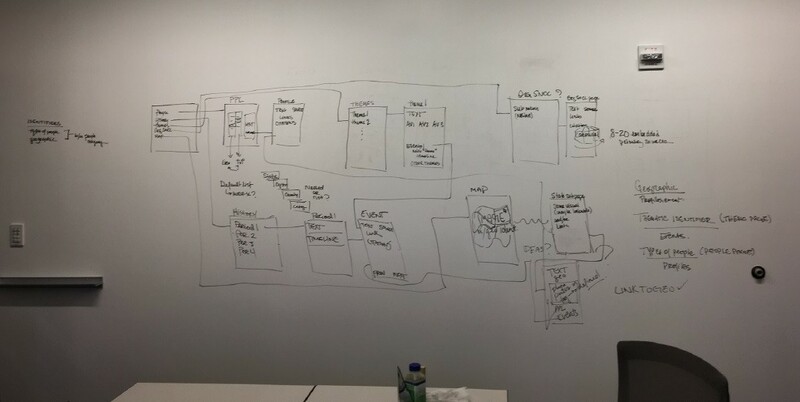 The design process is only beginning, so our site architecture questions are far from sorted out. But in the end, the SNCC Digital Gateway needs to bring SNCC’s history to life in a way that both channels how movement activists understood their work and is accessible and compelling for a new generation of young people, teachers, and scholars. Good thing we’re only half a year into a three-year project. Promotional postcard for One Person, One Vote site. Last year we at Duke University Libraries circulated a prospectus for our still-young partnership with the SNCC Legacy Project, seeking bids from web contractors to help with developing the web site that we rolled out last March as One Person, One Vote (OPOV). Now, almost 18 months later, we’re back – but wiser – hoping to do it again – but bigger. Thanks to a grant from the Mellon Foundation, we’ll be moving to a new phase of our partnership with the SNCC Legacy Project and the Center for Documentary Studies. The SNCC Digital Gateway will build on the success of the OPOV pilot, bringing Visiting Activist Scholars to campus to work with Duke undergraduates and graduates on documenting the historic drive for voting rights, and the work of the Student Nonviolent Coordinating Committee. As before, we seek an experienced and talented contractor to join with our project team to design and build a compelling site. If you think your outfit might be right for the job, please review the RFP embedded below and get in touch. 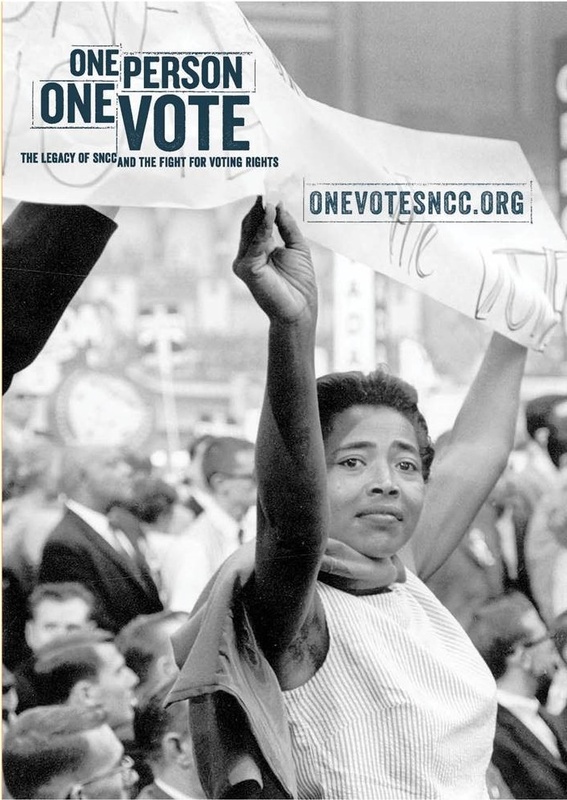 On Monday, March 2nd, the new website, One Person, One Vote: The Legacy of SNCC and the Fight for Voting Rights, went live. The launch represented an unprecedented feat of collaboration between activists, scholars, archivists, digital specialists, and students. In a year and a half, this group went from wanting to tell a grassroots story of SNCC’s voting rights activism to bringing that idea to fruition in a documentary website. Advisory Board: Made up of representatives of the SNCC Legacy Project, Duke Libraries, and the Center for Documentary Studies, the Advisory Board tackled the monumental task of raising funds, making a way, and ensuring the future of the project. Editorial Board: One Person, One Vote site has content galore. It features 82 profiles, multimedia stories, an interactive timeline, and map that collectively tell a story of SNCC’s voting rights activism. The enormous task of prioritizing content fell to the Editorial Board. Three historians, three SNCC veterans, and three Duke Libraries staff spent long hours debating the details of who and what to include and how to do it. Project Team: Once the Editorial Board prioritized content, it was the Project Team’s job to carry out the work. Made up of six undergrads, two grad students, and one intern, the Project Team researched and wrote profiles and created the first drafts of the site’s content. Design Contractors: The One Person, One Vote Project hired The Splinter Group to design and create a WordPress theme for the site with input from the Editorial Board. Duke Libraries Digital Specialists: The amazing people in Duke Libraries’ Digital Production Center and Digital Projects turned One Person, One Vote into a reality. They digitized archival material, built new features, problem-solved, and did a thousand other essential tasks that made One Person, One Vote the functional, sleek, and beautiful site that it is. Of course, this is only the short list. Many more people within the SNCC Legacy Project, the Center for Documentary Studies, and Duke Libraries arranged meetings and travel plans, designed postcards and wrote press releases, and gave their thoughts and ideas throughout the process. One Person, One Vote is unquestionably the work of many and represents a new way for activists, scholars, and librarians to partner in telling a people’s history. During its first five months, the One Person, One Vote project concentrated on producing content. The forthcoming website (onevotesncc.org) tells the story of how the Student Nonviolent Coordinating Committee’s (SNCC) commitment to community organizing forged a movement for voting rights made up of thousands of local people. When the One Person, One Vote site goes live on March 2nd (only 17 days from today! ), it will include over 75 profiles of the sharecroppers and maids, World War II veterans and high school students, SNCC activists and seasoned mentors that are the true heroes in the struggle for voting rights. 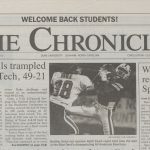 From September through January, the project team scoured digital collections, archival resources, secondary sources, and internet leads to craft these stories. At the end of January, the One Person, One Vote WordPress theme was finished and our url was working. 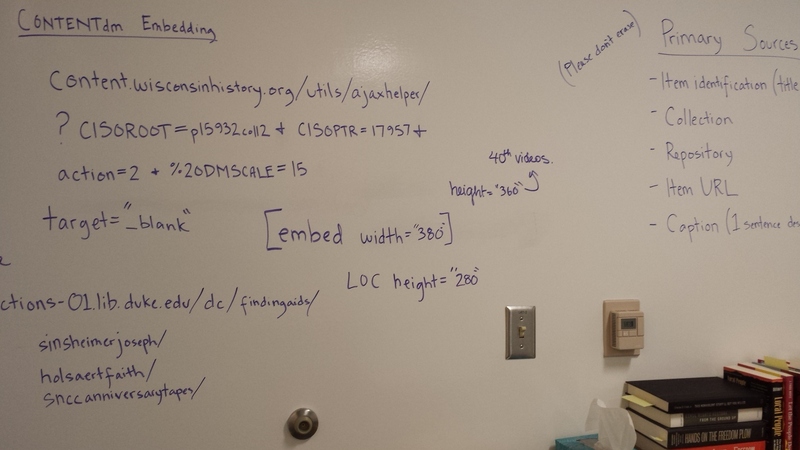 The project had just settled into its new space in The/Edge, Duke Libraries new hub for research, technology, and collaboration, making it a great time to start a new phase of the project: populating and embedding. 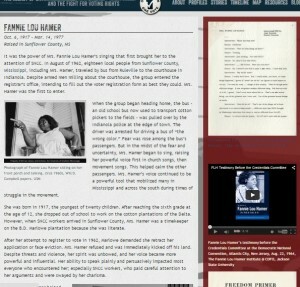 An example of the layout of a profile on One Person, One Vote with photos embedded in the context and primary source documents in the right sidebar. Unlike traditional digital collections, the One Person, One Vote site does not host any of the primary source material it uses. Instead, it acts as a digital gateway, embedding and linking to material hosted in different digital collections at institutions across the country. These include the Wisconsin Historical Society’s Freedom Summer Collection, the Civil Rights in Mississippi Digital Archive at the University of Southern Mississippi, Duke’s SNCC 40th Anniversary and Joseph Sinsheimer collections, and the Trinity College’s 1988 SNCC conference tapes to name only a few. Every profile featured on the One Person, One Vote site includes 4 – 8 unique sources, and the entire site has over 400 items embedded in it. Figuring out how to cleanly and uniformly embed sources has been a challenge to say the least. Many archival institutions use the archival management system, CONTENTdm, to organize their digital collections. 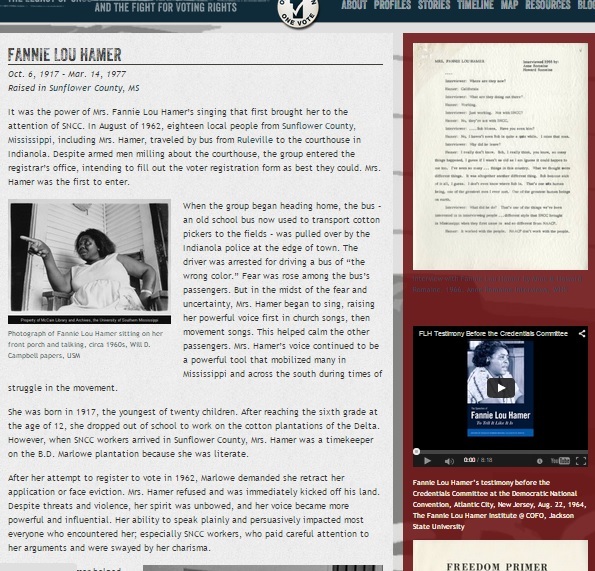 The Veterans of the Civil Rights Movement website hosts their documents as pdf files. The Library of Congress provides an embed code for the oral histories in their Civil Rights Oral History Project, but they also post them on YouTube. Meanwhile, the McComb Legacies Project and Trinity College use Vimeo. The amount of digitized material is staggering but how it’s made available is far from standardized. So by trial and error, One Person, One Vote is slowly coming up with answers to the question: how do we bring diverse sources together to tell a compelling story (both narrative-wise and visually) of the grassroots struggle for voting rights? Right now, these are some of our footnotes. A selection of the One Person, One Vote Project’s growing list of footnotes on how to embed primary source material. 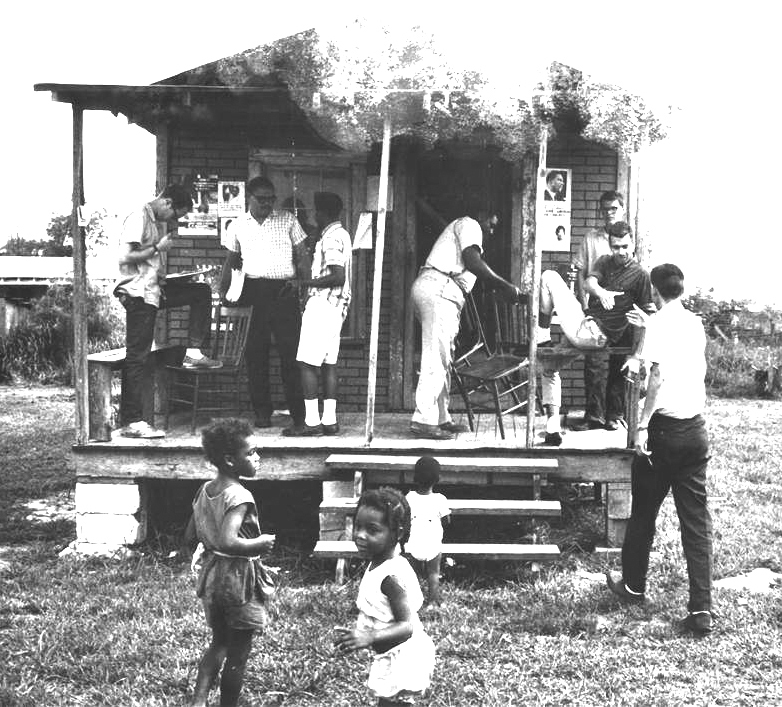 SNCC workers prepare to go to Belzoni in the Fall of 1963 to organize for the Freedom Vote. Courtesy of www.crmvet.org. Back in June, the Editorial Board generated a list of people that the One Person, One Vote site needed to profile in order to understand SNCC’s voting rights activism. In less than an hour, we had a list of over a hundred names that included SNCC field secretaries, local people, movement elders, and everyone in between. And those were only the first names that came to mind! We narrowed that list down to 65 people, and that’s what the project team has been working from. The first step in profile writing is research. We have a library of twenty books for instant referencing of secondary sources. Next comes surveying available primary sources. 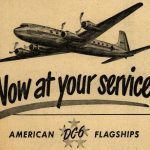 Our profiles include documents, photographs, audio clips, news stories, and other items created during the movement to make historical actors come to life. Some of our go-to places to find these sources include: Wisconsin Historical Society’s Freedom Summer Digital Collection, the Civil Rights History Project at the Library of Congress, the Joseph Sinsheimer interviews and SNCC 40th Anniversary Conference tapes at Duke University, the Civil Rights in Mississippi Digital Archive at the University of Southern Mississippi, the University of Georgia’s Civil Rights Digital Library. There are more, of course, but that’s the start. The central question behind every profile the project team writes is: who was _______ to the movement? Once you start filling in the blank, the answers vary to an incredible degree. Movement elders like Ella Baker and Myles Horton contributed to the movement in different, yet equally important ways as Mississippi-born field secretaries like Charles McLaurin, Sam Block, and Willie Peacock. Trying to figure out how and why is no small undertaking. This is where the guidance of our Visiting Activist Scholar helps focus the One Person, One Vote site on the themes that were at the heart of the movement: grassroots activism, community organizing, and individual empowerment. Next, spend hours trying to express who the person you’re profiling was to the movement in only five hundred words. The profiles on the One Person, One Vote site aren’t mini academic biographies. Instead, we try to tell stories that illustrate who the people were and how their lives and work influenced SNCC’s voting rights activism in the 1960s. Finding the right story to highlight these central themes is key, and telling it well takes time and (lots of) revision. 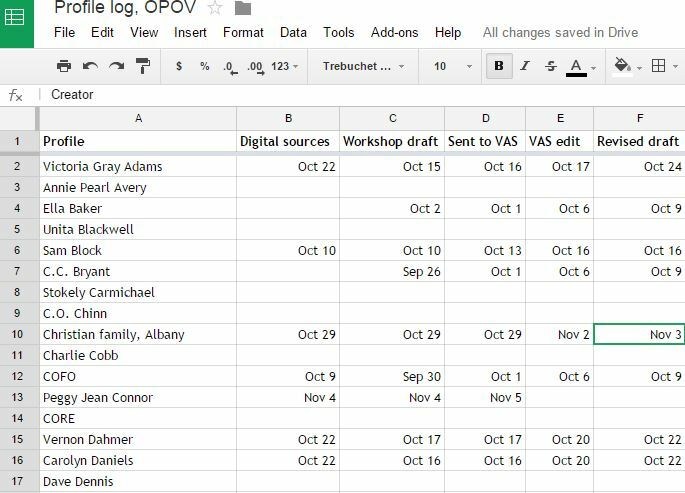 The OPOV project does all content production in Google Drive. Here is the OPOV Profile Log to keep tract of profiles through the steps towards completion. The first draft of every profile is workshopped with the One Person, One Vote project team (made up of 4 undergrads, 2 graduate students, and the project manager). As a group, we suggest how profiles can better convey their central theme, make sure that the person’s story is readable and compelling, line edit for clunky writing, and go through the primary sources. All of the revised profile drafts go the Visiting Activist Scholar for a final round of editing. 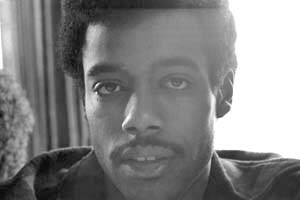 Charlie Cobb, a journalist and former SNCC field secretary, is our first Visiting Activist Scholar. He helps bring the profiles to life in ways that only someone who was a part of the movement can. Charlie adds details about events, mannerisms of people, and behind-the-scene stories that never made it into history books. While the project team relies on available primary and secondary sources, the Visiting Activist Scholars adds something extra to the profiles on the One Person, One Vote site. Profiles goes through one last proofreading and polishing. Then come 2015, the will be posted on the One Person, One Vote site and the primary sources will be embedded and linked to from the Resources section of the profile pages. Voila! The One Person, One Vote Project is trying to do history a different way. Fifty years ago, young activists in the Student Nonviolent Coordinating Committee broke open the segregationist south with the help of local leaders. Despite rerouting the trajectories of history, historical actors rarely get to have a say in how their stories are told. Duke and the SNCC Legacy Project are changing that. The documentary website we’re building (One Person, One Vote: The Legacy of SNCC and the Struggle for Voting Right) puts SNCC veterans at the center of narrating their history. SNCC field secretary and Editorial Board member Charlie Cobb. Courtesy of www.crmvet.org. So how does that make the story we tell different? First and foremost, civil rights becomes about grassroots organizing and the hundreds of local individuals who built the movement from the bottom up. Our SNCC partners want to tell a story driven by the whys and hows of history. How did their experiences organizing in southwest Mississippi shape SNCC strategies in southwest Georgia and the Mississippi Delta? Why did SNCC turn to parallel politics in organizing the Mississippi Freedom Democratic Party? How did ideas drive the decisions they made and the actions they took? This StoryMap traces how the idea of Manifest Destiny progressed through the years and across the geography of the U.S.
StoryMap: Knightlab’s StoryMap tool is great for telling stories. But better yet, StoryMap lets us illustrate how stories unfold over time and space. Each slide in a StoryMap is grounded with a date and a place. Within the slides, creators can embed videos and images and explain the significance of a particular place with text. Unlike other mapping tools, StoryMaps progress linearly; one slide follows another in a sequence, and viewers click through a particular path. 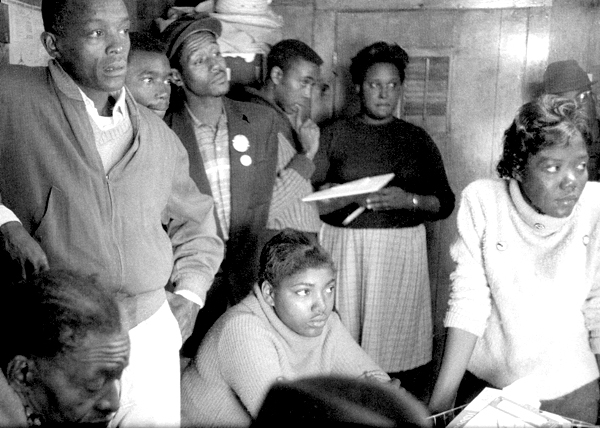 In terms of SNCC, StoryMaps give us the opportunity to trace how SNCC formed out of the Greensboro sit-ins, adopted a strategy of jail-no-bail in Rock Hill, SC, picked up the Freedom Rides down to Jackson, Mississippi, and then started organizing its first voter registration campaign in McComb, Mississippi. Timeline.JS: We wanted timelines in the One Person, One Vote site to trace significant events in SNCC’s history but also to illustrate how SNCC’s experiences on the ground transformed their thinking, organizing, and acting. Timeline.JS, another Knightlab tool, provides the flexibility to tell overlapping stories in clean, understandable manner. Markers in Timeline.JS let us embed videos, maps, and photos, cite where they come from, and explain their significance. Different tracks on the timeline give us the option of categorizing events into geographic regions, modes of organizing, or evolving ideas. 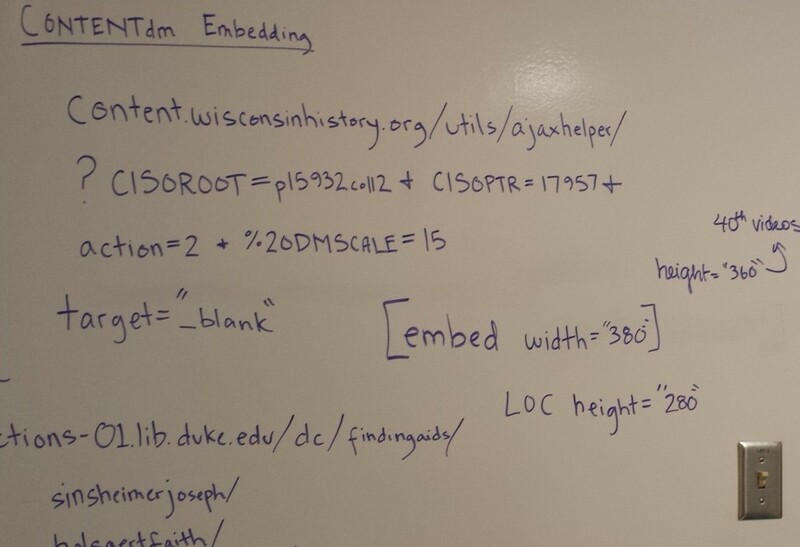 The history of Duke University as displayed by Timeline.JS. DH Press: Many of the mapping tools we checked out relied on number-heavy data sets, for example those comparing how many robberies took place on the corners of different city blocks. 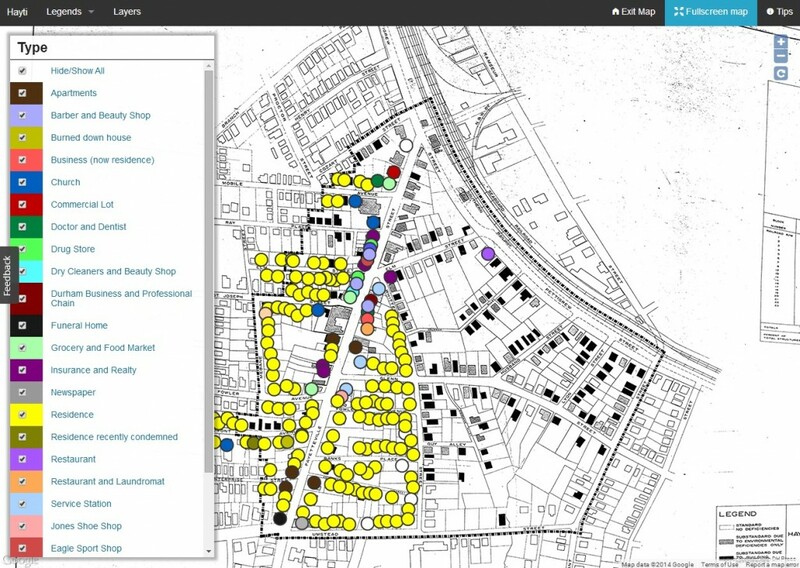 Data sets for One Person, One Vote come mostly in the form of people, places, and stories. 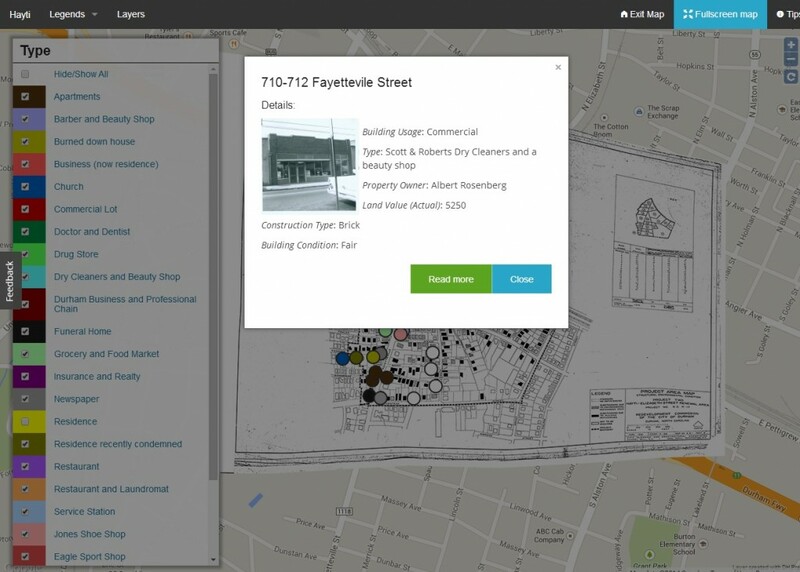 We needed a tool that let us bring together events and relevant multimedia material and primary sources and represent them on a map. After checking out a variety of mapping tools, we found that DH Press served many of our needs. DH Press project representing buildings and uses in Durham’s Hayti neighborhood. Coming out of the University of North Carolina – Chapel Hill’s Digital Innovation Lab, DH Press is a WordPress plugin designed specifically with digital humanities projects in mind. While numerous tools can plot events on a map, DH Press markers provide depth. We can embed the video of an oral history interview and have a transcript running simultaneously as it plays. A marker might include a detailed story about an event, and chronicle all of the people who were there. Additionally, we can customize the map legends to generate different spatial representations of our data. Example of a marker in DH Press. Markers can be customized to include a range of information about a particular place or event. These are some of the digital tools we’ve found that let us tell civil rights history through stories and ideas. And the search continues on. SNCC workers Lawrence Guyot and Sam Walker at COFO (Council of Federated Organizations) office in Gulfport, Mississippi. Courtesy of www.crmvet.org. Fifty years ago, hundreds of student volunteers headed south to join the Student Nonviolent Coordinating Committee’s (SNCC) field staff and local people in their fight against white supremacy in Mississippi. This week, veterans of Freedom Summer are gathering at Tougaloo College, just north of Jackson, Mississippi, to commemorate their efforts to remake American democracy. The 50th anniversary events, however, aren’t only for movement veterans. Students, young organizers, educators, historians, archivists, and local Mississippians make up the nearly one thousand people flocking to Tougaloo’s campus this Wednesday through Saturday. 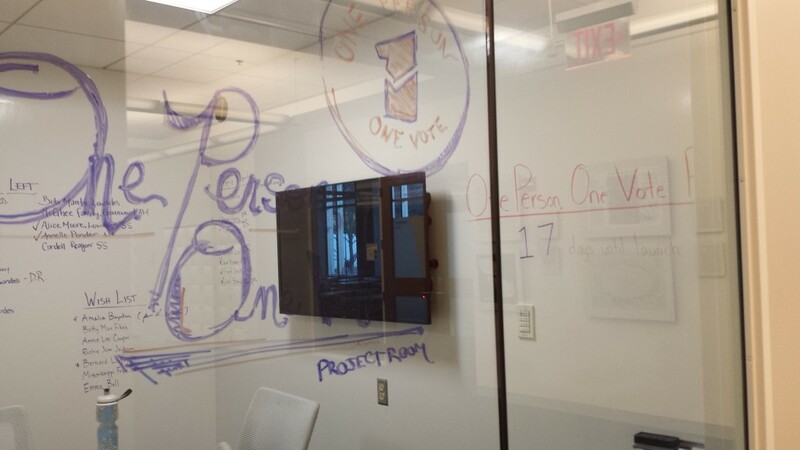 We here at Duke Libraries, as well as members of the SNCC Legacy Project Editorial Board, are in the mix, making connections with both activists and archivists about our forthcoming website, One Person, One Vote: The Legacy of SNCC and the Fight for Voting Rights. Mississippi Freedom Summer 50th Anniversary. Courtesy of Freedom50.org. This site will bring together material created in and around SNCC’s struggle for voting rights in the 1960s and pair it with new interpretations of that history by the movement veterans themselves. To pull this off, we’ll be drawing on Duke’s own collection of SNCC-related material, as well as incorporating the wealth of material already digitized by institutions like the University of Southern Mississippi, the Wisconsin Historical Society’s Freedom Summer Collection, the Mississippi Department of Archives and History, as well as others. 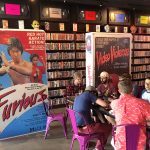 What becomes clear while circling through the panels, films, and hallway conversations at Freedom Summer 50th events is how the fight for voting rights is really a story of thousands of local people. The One Person, One Vote site will feature these everyday people – Mississippians like Peggy Jean Connor, Fannie Lou Hamer, Vernon Dahmer, and SNCC workers like Hollis Watkins, Bob Moses, and Charlie Cobb. And the list goes on. It’s not everyday that so many of these people come together under one roof, and we’re doing our share of listening to and connecting with the people whose stories will make up the One Person, One Vote site. In the 1960s, an unstoppable group of student activists partnered with black southerners to mount an all-out attack on Jim Crow. One person, one vote – that was the idea that drove them when they woke up each morning. In some of the most remote and forgotten areas of the deep South, the Student Nonviolent Coordinating Coordinating Committee (SNCC) and local people risked their lives to secure the right to vote for all Americans. Fifty years later, that struggle is as central as ever. 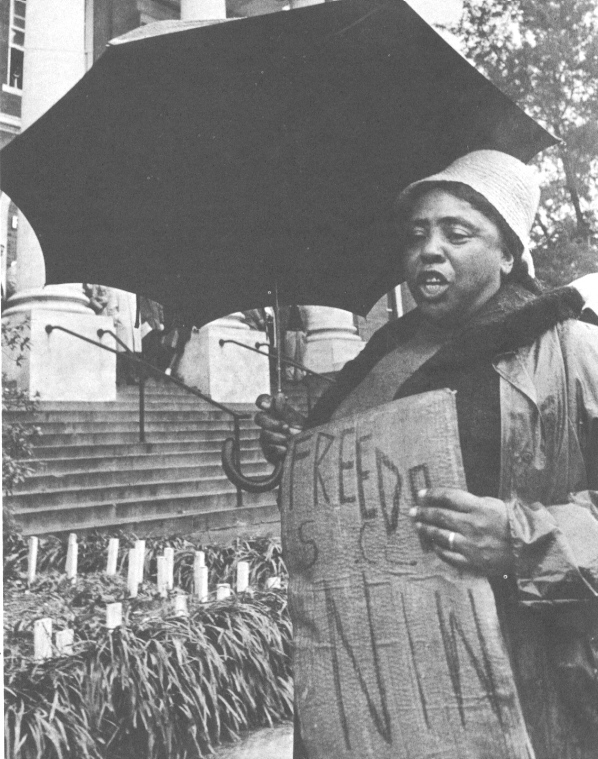 Voting rights and SNCC activist Fannie Lou Hamer in Hattiesburg, Mississippi in 1964. Image courtesy of the Civil Rights Movement Veterans site. The SNCC Legacy Project and Duke University are teaming up to chronicle SNCC’s historic campaign for voting rights. The pilot phase of that partnership, a project titled “One Person, One Vote: The Legacy of SNCC and the fight for voting rights,” will reexamine SNCC’s activism in light of current struggles for an inclusive democracy. The OPOV pilot site will feature documents, photos, and audiovisual materials born out of SNCC’s fight for voting rights. From this material, SNCC veterans will use oral histories, critical curations, and featured exhibits to rethink the impact of their activism. We’re looking for a talented, Triangle-based design team to help us connect the past to the present. Designers will create a WordPress theme that brings clarity and flow to the overlapping narratives of voting rights activism. See the prospectus for candidate contractors linked below. We’d like to make contact with you now, with a more extensive Call for Proposals to follow in May.